My Fabulous Frugal Life received a huge surprise and compliment today – The Liebster Award! 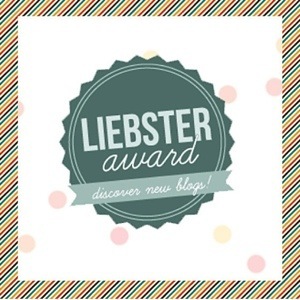 Liebster means “favorite” in German, this is a “favorite Blog Award’. This award is given to new bloggers who are building their audience. A big thank you goes out to My Little Closet Blog for nominating me! Check out and follow this fabulous fashion blog. I learned the art of frugality from my mom and grandma. I have naturally curly hair. I got a perm in grade school before it turned curly! I take a bath every evening to relax. I love onions, garlic, and spicy foods. I always have mints with me! I met my husband in a college psychology class. I got my first iPhone 6 months ago. How did I manage without it!?! My son is the greatest gift I have ever received! I own 3 barbecues and 3 crockpots. Family, friends, food, and fashion are the best parts of my life, in that order! I just turned 31 and am loving my 30’s! Describe your self in one sentence. I am a person who tries to be the friend I would want others to be for me. Why did you decide to start a blog? I have always been interested in writing. I love to save money and I love to talk! This is the perfect platform for all three! Which blogger inspires you the most? I can’t name one blogger, but I find anyone who is willing to blog to be an inspiration. It is not easy to put yourself out there for all of the world to see and critique. I believe blogging requires a certain amount of bravery. Which accessories are the most important to complete your outfit? I think having one really great accessory pulls an outfit together. I love a great scarf, statement necklace, earrings, or pair of shoes. You need that one standout accessory. Who is your favorite designer? Tory Burch. I lover her style. Her brand is sophisticated, classic, and comfortable. 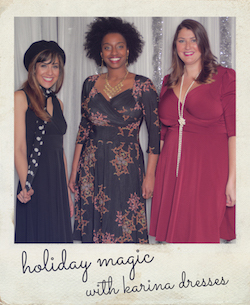 She designs for women of all ages, shapes, and sizes. What will you not leave the house without? Sunglasses, lipgloss, mints, and water. Which Country/City would you like to visit the most; why? My dream vacation is to tour Italy. I want to eat my way across the country! What is your favorite Magazine & why? I love Us Weekly, it is my guilty pleasure! I like the pictures, I enjoy the Who Wore it Best? and Stars They’re Just Like Us features. I am not into celebrity or fame worship, but I find the magazine entertaining. Who is your favorite singer/band? I love 80’s music. I like pretty much all genres of music. Some of my favs are Madonna, Tom Petty, Metallica, George Strait, Elton John, and Journey. What is your favorite TV show? All of the Real Housewives shows on Bravo! Last but not least, what tips would you give to a completely new blogger? Have fun with blogging. Be patient and don’t get discouraged. What is the last meal/food you prepared? Where do you find home decorating items/inspiration? 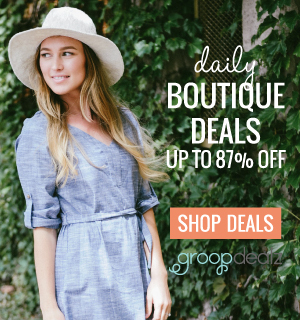 What is your favorite store and why? Congrats to all of you for having fabulous blogs! I can’t wait to read your responses and more of your blogs! Check out and follow all of these amazing bloggers! Stay connected with My Fabulous Frugal Life via – Facebook, Instagram, and Pinterest. Thank you so much for nominating me! It means so much to me! Yay! Thank you so much for the nomination! Made my day! I really enjoy your blog and I am looking forward to your future posts! It’s basic, however eeffciint. You could might write up coming posts talking about this short article. I have to continue reading problems over it! I love looking at your site and appear toward all your posts! Let me make sure to book mark your website. Thank you for nominating my blog!! I’m so glad to hear that blogging has been such a ptiosive experience for you! I’m finding it valuable too, not just in terms of some camaraderie but it’s also just plain therapeutic. I also find I have more ideas for posts than I can currently keep up with, which is great.I am so glad we all have such hope for being able to be open about mental illness, and I have such respect for people like you who are blazing the way. I hope to get there someday when I’m a little more secure in my career. You’re welcome! Your blog is awesome! Can’t wait to read your response! Love your responses! I agree that blogging can give you a better idea of your style and give you more body confidence. I too, am a cheese addict and met my husband at college! I love how you challenge yourself with giftcards! Great idea and attitude! No need to apologize. We are all busy with our lives, thank you for taking the time to thoughtfully respond!